My car loan was sold to a new lender without my permission. Is that legal? I have an auto loan with Citifinancial. Today I received a phone call from Santander Consumer USA. They informed me that they have purchased Citifinancial Auto and have taken over all existing loans. I was then informed that I need to sign a new loan agreement. I knew nothing of this supposed buy-out and refused to give any personal information over the phone. After some research I discovered that Santander Consumer USA in fact HAS purchased Citifinancial Auto. The fact that Citifinancial never informed me that my note was being sold and this new company that I have never heard of has my personal information and is requesting that I modify my existing auto loan to fit their needs DOES NOT sit well with me. This whole thing has an illegal feel to it...unethical at the very least. I did not agree to do business with Santander. Can they do this? What are my options? Review your options if your auto loan is sold to a new lender. Understand that the original terms of your loan remain in place with the new lender. Consider refinancing if you do not want to work with the new lender. Santander Banco, one of Spain's and the world's largest banks, purchased a significant portion of Citigroup's auto loan portfolio. Santander did not buy all of Citi's auto loans, but your loan is apparently one in the portfolio it did buy. Normally, when a loan is bought, the original servicer notifies the borrower as a matter of common courtesy. It tells you the loan was sold, who your new lender is, and where you will now be sending payments. In your case, it is understandable you were a taken aback by being contacted out of the blue by a party you have never heard of. After all, who in the US outside of the banking business has ever heard of Santander? Still, Citi and Santander's rude behavior does not mean anything improper occurred. It was not illegal for Citi to sell your loan. The terms of your loan did not change when Citi assigned or sold the loan the Santander. Santander assumed all terms and conditions of your Citi loan, and it would be illegal for Santander to change your interest rate or the monthly payment required unilaterally. You stated the loan was modified, but I am not clear what you meant by that, and which terms or conditions changed. Customarily, when a new creditor assumes a loan, it does not ask the debtor to sign a new or agreement. One of the reasons it is buying a loan is because the loan's history, risks, and expected return are known or easy to project. It baffles me Santander would risk losing you (and presumably other customers) by asking you to sign new loan agreements, which will almost certainly prompt many customers to shop around for better rates and terms. What I am about to write is purely speculation, but perhaps the terms of your Citi loan are such that Santander believes it cannot make money on your loan, and would not mind losing you if you take your business elsewhere. If you do not wish to do business with Santander, refinance your vehicle loan. Refinancing may not make sense if you are already years into the loan, because you will have paid off most of the interest on the loan at that time. Alternatively, refuse to sign Santander's agreement. You are under no obligation to say yes to Santander's request to accept different terms and conditions. I encourage you to read some useful information about auto loans that will help you compare and contrast terms and conditions of vehicle loans. Have you already talked with your servicer? maybe they have specific reasons of letting your car be bought by Santander. Sometimes this happens and the borrower is unaware of it. Proper counseling is the best solution for it, talk to your servicer immediately. If your loan is sold to another company what you should do is validate that debt. What I means is this is the land of contracts and if I do not have a contract with you then I don't owe you. I don't care if you purchased several loans of mine if you purchased them then you have paid my debt. A company has to have a signed contract with you stating that you requested some type of service from them and that it was worth x amount of Federal Reserve Notes. Without a contract they have not a valid claim. It is fair to say most US courts respect the terms and conditions of valid, reasonable contracts. It is also fair to say that absent a no-assignments clause in a contract, a party to a contract may assign its rights to a contract to a third party. For example, an over-booked house painter may subcontract or assign a house painting contract to another house painter. Similarly and to your point, an original creditor may sell a collection account to a collection agent. In the legal trade, this is called an assignment. A collection agent that validates a debt provides evidence it has the legal right to collect a debt. Your statement "...if I do not have a contract with you then I don't owe you," is accurate to a degree, but not accurate if the collection agent possesses an assignment it can validate. HSBC sold our car loan to Santander 1 year ago. There has been nothing but problems. This car was always current. They said it was one payment behind, $330.00. I told them no after paying for this car for 4 years. November payment, No. 72, last payment should be $330.00. They told me today, October 24, 20aa, I still owe $2414.00 for interest. My husband flipped out on them today. Tomorrow, he's calling our attorney. HSBC sold mine to Santander also. I called for a payoff quote in January of this year. They told me I owed $6063. My loan was for 60 months and I was to make my last payment on September 9th, 2011. I got a letter in the mail last week saying they are scheduling my car for repossession and I was behind $1743! I called to talk to them and never did get a real person. I did however get another payoff quote (Automated).... Now they say I owe $3893??!! My last payment was supposed to be in September of this year! How do I still owe this much????!! My payoff is different everyday. I don't know what to do. Differences in a payoff letter can arise because of accumulated interest, payments received, or fees charged between different dates. If, according to your original calculations, the loan was supposed to end in September, you should not be making any more payments. Collect all the proof of the payments you made on the loan. Compare that to the loan amortization schedule in your loan contract and/or your quarterly or annual statements. Contact your lender. Write a letter (by fax, e-mail or registered mail) demanding an explanation for any discrepancy between your calculations and theirs. My Sovereign loan was sold to these henchmen. Trying to get my insurance check for accident cashed at Sovereign- told they are not authorized even though Sovereign is under Santander. Have to send check to Santander, get repairs, have body shop send them the repair list and they will then send the check to atuo body. If repair is less they take the difference and apply to principal. This is the most convoluterd assinine process. They are not available in person- no brick and mortar bldgs, only internet. Their attitude is arrogant and condescending. Unfortunately, there is nothing we as a customer/consumer can do. We too were sold to Santander. We received a letter in September they had acquired our account along with that letter we received a statement the one and only statement. the statement had us owing a balance of $2,852.53 and $15.00 for fees no explanation as to what these fees were,we then mailed a $400 payment on september 10th, we mailed another $400 on september 30th, because we were trying to pay the loan off as quickly as possible we then got a call from them around october 2nd saying the account was past due and they needed to get the entire pay-off or do a modification on the loan, well we didn't to do the modification when we only owed a couple thousand dollars and even though we had the money in our savings we didn't want to pay that much out at once,so we mailed another $400 on the 6th of october,on or around october 11th a repo man showed up at our door saying he had an order to pick up our car,i ask him what do you mean we have sent these people at least $1,200. in the past 3 weeks he stated we have a balance of $2,085.72 past due, I told him well the car is not here he ask where is it,i replied at a relative, I guess he was a pretty good guy or something because he didn't give me any hassle. I then called Santander and spoke with a rep. and asked her why would they send a repo man to our door when we are paying them money on the account she stated the account is so many days past due and thats why it went to repo status so I told her I wasn't aware that you can try to repo a car while its being paid on only when a person is not paying. She continued to say the same thing and inquire as to when we would pay the balance off. I replied to her we would be making another payment, and you are not going to get this car. We have practically paid for this car and now you wanna take along with all our money. I guess I must have made her mad or something,cause she said you don't call here and tell us what we aren't gonna do we can get the car even if we have to send a constable (policeman) to your house and force you to release it. I said fine do that and we'll take you to court. She stated I'm not gonna hold this conversation with you any longer I'm transfering you to someone else. The second rep. got on the phone proceeded to tell me about the balance on our account and when would we be sending a payment,she then said the only thing we could do is a pay-off or modify the account. I agreed to do a modification,she said they could fax the papers or send them to my email. I said email she said when I receive the papers I need to print them out sign them and send them back to and we only had a few days to do that. She said give it up to about 48 hours before we receive the papers. Well, come friday no papers, because it was a monday when I spoke with them. I then called back the following Tuesday, the rep who I spoke to said the mod. was still pending she then said no wait I see where they were sent to your email on october 28th, I said no they were not cause I have checked my email everyday. She then said give me your email address again. I did she then said oh I see what happen the papers were sent to the wrong address. She then pretended to correct my email and stated they would resend the papers to my correct email. I waited 8 days no papers, Called them on the 1st,2nd nov. inquired about our pay-off I was told $2,126.72 I again ask them about the balance and what happen with all the payments we been sending. Same answers interest fees and late charge nov. 2 mailed another $400 called back on nov.8th to ask what our pay-off would be the rep. Ms W. stated $2,126.72 I then got upset and told her how can this still be our pay-off when this is what you all told us before the last 2 payments she then said oh wait a minute hold on it may have been calculated wrong. She then came back on the phone and said it would be $1,725.72 at that point I didn't even have the energy to argue anymore. She said you can either pay it off or do a modification I said we are going to send you a money gram today for the balance. She was like speechless for a second and then she ask you gonna do it today I said yes ma'am we sure is. Now we are waiting for our title a week have past already. When we called they stated the title was mailed on the 11th so thanking god we are done with Santander and hoping they don't try to come back and hit us up for more money. We are having SO many problems with Santander as well. VERY similar as the gentleman wrote above. Same story about a repo, which we paid to receive back. Now asked for a payoff and they state it's $4,000 higher than our balance. We have no pre-payment penalties either to pay off early. We despise this company who has harassed us and our family & friends by constant phone calls, when none of the people they are calling were even on our reference list. In fact, they contacted another family with our same name, which we know locally here in town. No relation..Just same last name. They attempted to remove an UNauthorized amount from our checking account (with out our acknowledgement) We had seen this $730 payment pending and immediately went straight to our bank and stopped this paying $31. Contacted them and only approved $430 to be removed. They DIDN'T remove that approved payment and then had our car repossessed within a few days after when our payment was even due for another two weeks! We paid $650 to have it removed from the repo lot,which they admitted after that if they would of taken out that payment of $430, then our car wouldn't have been repoed!!!! Telling us.."Why did the previous Rep not take out your payment is beyond me? They should done the transaction" How ignorant and unfortunately we aren't able to refinance Currently and can't sell/trade in cause it's upside down. We have had this loan for over 3.6 years with ONLY paying off $2,000 towards the principal and so far paying $18,467 towards interest! I never use the word "Hate".. I tell my children that a very strong word to use. But in our case I don't despise, not loath, but HATE Santander! They have caused nothing but misery, emotional hardships and more stress even with us paying on time. I have Cancer and several other chronic medical complications. This is horrible dealing with this company, which has made it worse for me and has caused more harm as I/we go through this time of our lives with me being ill. For my outside family too. There are unusual fee's are unexplainable by any of their supervisors and/or departments when we call. Misinformation from every Rep and nothing matches to the true numbers for our account either. They neglect to send us information about out contract, which they state has changed from the original one my Husband signed with "Drive Financial" in 2009, now 03/2013. NO one is doing anything to this Company to STOP THEM!!! We are FURIOUS for not only US, yet everyone else going through similar situations with them! How do they continue to get away with their business practices??? Even the class action lawsuit hasn't worked for so many! Been since 2010 and no word yet from the Firm's trying to take this Company down. I speak with SO many consumers who have class action suits currently against them and some stories are worse, which they all can prove fraud. They all haven't heard anything and continue to suffer from Santander! Wish I could win the lotto just to pay off a loan, which we already have paid over the price of my Husbands car which was $20,320 at signing & they tell us we a payoff of $18,920 still??? How, when our balance read $15,034 and we've paid a total of $19,000 ???? 12-14 months of recent payments NEVER even were applied to the principal! We just discovered this with our monthly payments are $545 and @ a 24.92% APR. when we had great credit and a down at trade in. We also found out that the dealership was getting an extra interest from certain lenders when they sold an account with that particular lender for a higher interest rate. Making the buyer believe that one company was the only lender able to give them that loan! We just found this out from that dealership that we originally were offered four lenders to have between a 8%-12% loan instead of 24.92%! Why that was legal for that financial rep to only give us information from one lender is beyond me. Because he pocketed our money from getting a bonus selling our account to another higher-interest lender! Is that even legal to have that high of a rate for a contract signed in NJ? We now live in Florida and the lender, Drive Financial was out of Texas. Is that legal for the dealership to offer ONLY that one lender? Consult with a lawyer in your state who has consumer law experience. He or she will review the facts you discussed above, and the loan contract. If you signed a contract with an illegal interest rate, a court may void the contract entirely or modify its terms. Readers, Mel's experience is valuable: Shop for an auto loan before you step foot on a dealership's lot. Some car dealer finance departments are honest and work hard to find a great deal for their customers. Some dealerships know that word-of-mouth advertising is the best kind and treat customers accordingly. Other dealerships, unfortunately, specialize in making a quick buck, as Mel's shared here. When you line-up a loan with your local bank or credit union before you start shopping, you know your price range, and what the current rates and fees are in advance. If you put your faith in the dealership's finance department, you may not get the best rate and term on your financing. 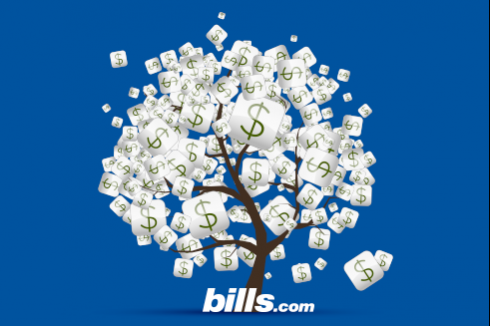 Thank you kindly for replying above Bills.com. This is Mel T once more... Update: We discovered some unfortunate information that the Dealership my Husband had purchased his Mustang at in NJ, has done this type of bad business with many others. Also, we have recently found out the original contract was changed with new terms when sold to Santander too. Nothing since 02/2012 has gone towards our principal and it's now March 2013. $15,901 has remained since last year and paid over $13,000 towards interest alone with $4,400 ONLY going towards his principal since 2009. Horrible! truly.. We are up for repossession again and wish there was another way,but isn't. Wish my Husband knew me when he purchased this car...Hmmm? Maybe much different results would of been.. I will never have allow him/us to go through this again. So, we have an appointment in two weeks with an Atty to go over this contract, with holding the dealership responsible for increasing the interest rate , Believe it's called "reserve rate" when dealerships make a profit from an increased loan and the lender encourages this,so they choose them for more sales contract/loans. The cap for many states also comes into play before signing and we will never be ignorant to be taken again. I've always owed my cars and only one at 19 years old did I have ever have a lender help me purchase a car. Agree... Go through a bank,or save your money and then buy! Pray this all works out for us.. we have four children and no more stress needed about now either. Just hope this company is stopped from anymore bad business,or sneakiness. TY Good Luck everyone! Great to hear that you plan to meet with a lawyer about this matter. Generally, a loan's terms cannot be changed if the loan is sold to a new servicer. If you face a repossession, it may be wise to see the attorney even sooner than two weeks from now.